The Eductor has more technologically advanced Electro-Stimulation Capacities. It has 3 Signal Generators. 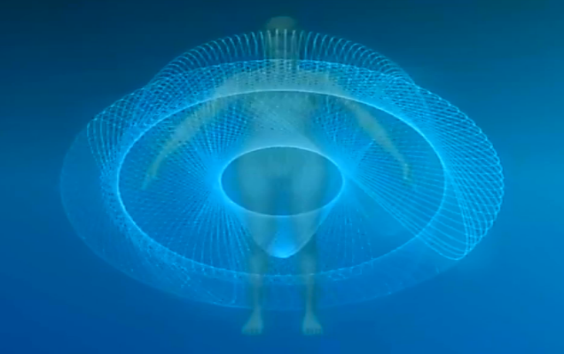 This 3 stimulation system allows a 3Dimensional Scalar Field for 1000% increased stimulation versatility, which includes allowing for enhanced: Chakra Work, Pain management, Anxiety, Addiction Therapy and Electro Trauma Healing. The scientific digital Quantum Xrroid Consciousness Interface behind the previous devices has been updated in the Eductor. The sensitivity is thought to be as much as 20 times more. The 2nd and 3rd wave forms in the Eductor cycle 3 dimensionaliy throughout the body, allowing the body to choose the energy it requires. All the auto focus functions and the stimulation functions therefore can give the maximum amount of healing thereby going significantly deeper. This will allow much greater precision, range and effectiveness of MTENS, MCES, EWH, TVEP, ETM and Scalar wave function. The amplitude of generators can be set separately for all. The previous devices were unable to cycle 3 dimensionaliy and were smoother waveforms. There is also a new independent shielding and new heat stabilized voltage reference on each channel of the electrodes, plus a new peak rectifier for the measurement of the peak values of the AC components and Precise 22 Bit Sigma-Delta AD converter for the high resolution DC measurement. This aids a superior measurement function. Added also is an aberrant artifact reduction and a multitude of programmed waveform. A new DC source can change the source impedance in a wider range, for the GSR measurement. There is also a dedicated independent EEG EMG amplifier with a built in 50-60Hz noise and Butterwort filter and a new built in wave source with programmable amplitude and frequency for improved verification of the EEG, EMG channels. The Eductor has new modern Hi-Tech for today’s biofeedback technician. 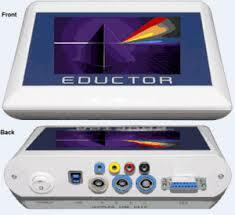 The major improvements to the Eductor include a dedicated ECG, EEG, GSR, EMG with improved disturbance filtering. The sensitivity is 20 times more sensitive than the SCIO. It is 2012 biofeedback chip technology. There is new active independent shielding and new heat stabilized voltage reference on each channel of the electrodes.The Eductor has new Peak rectifier for the measurement of the peak values of the AC components and Precise 22 Bit Sigma-Delta AD converter for the high resolution DC measurement for greatly improved measurement function. There is greatly improved aberrant artifact reduction. The word SCIO means in Latin “to Know” and this is where the word science comes from, but we cannot truly Know. The word Doctor comes from the Latin word ‘Eductor’ which means ‘to teach’. Biofeedback means teaching rather than knowing. Our device teaches, not diagnoses. The new ‘Eductor’ is a vast improvement, fully registered device with professional EEG, EMG, ECG chips inside, four wave signal generators for 3D visual graphic representations, Wi-Fi connection, micro-micro operations, LCD screen, Cranial Electrical Stimulation harnesses and much more. It is the next super generation in our technology. In summary using today’s chip technology and the Quantum Xrroid Technology we believe this is a much improved medical device to help with educating the body electric to increase wellness.